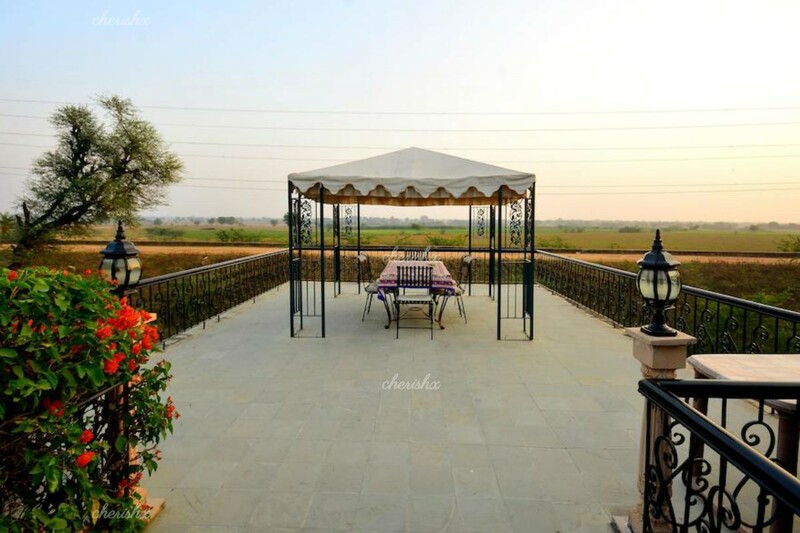 This property is a nice drive from Jaipur and Delhi. From Jaipur it takes about 1.5 hours - 75 kms towards Agra. And from Delhi it takes about 5 hours - 250 kms towards Jaipur. 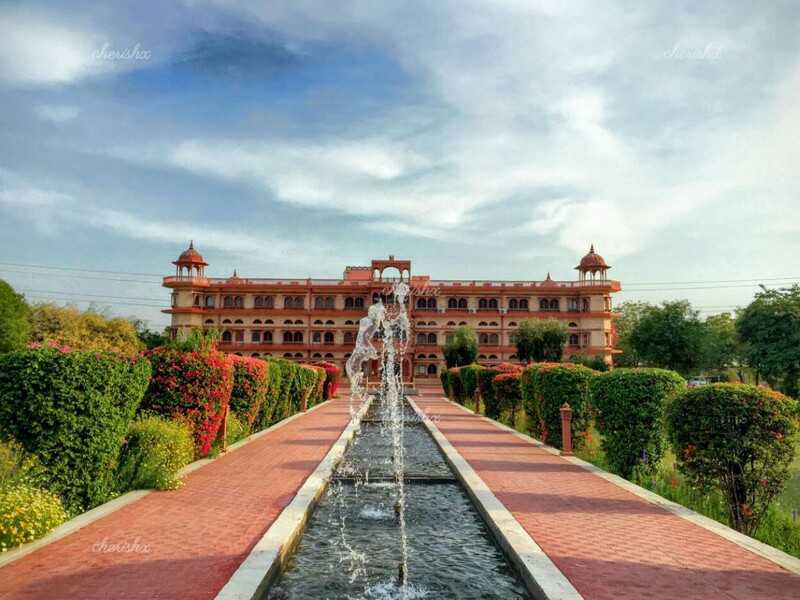 As you walk into the this hotel towards reception you see nice historical and cultural artifacts in this royal kota stone palace. At the reception, for checking-in just mention your name and staff would very courteously assist you to your room. Get rid of your work life stress and journey fatigue by relaxing in your room. 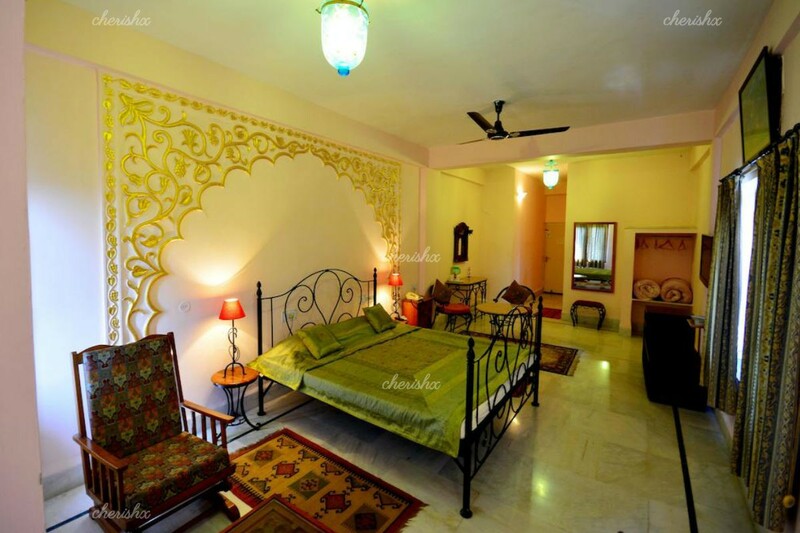 The rooms are spacious & comfortable, but not very fancy. After freshening-up come down for some fun activities. There is countryside camel safari organised for the two of you. 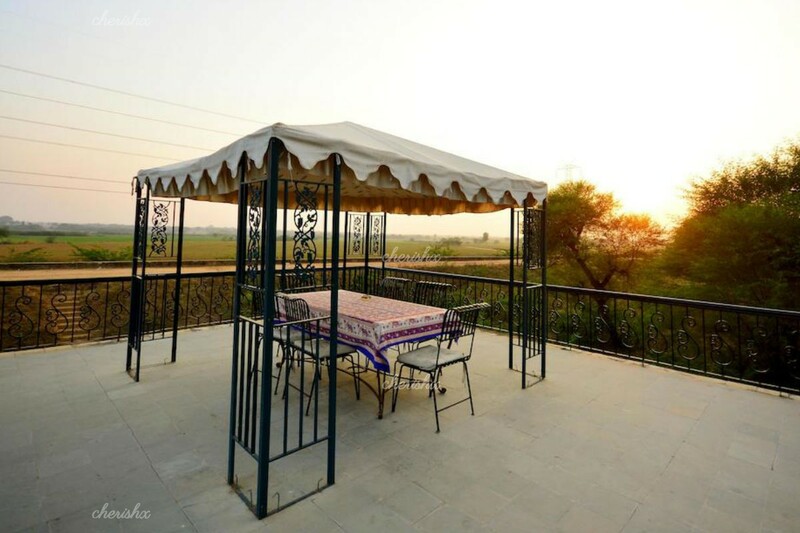 This adventurous - bumpy but fun safari - camel ride - take you the village nearby, through the farms and kacha roads. You can also ask the hotel staff for a visit of the farms. 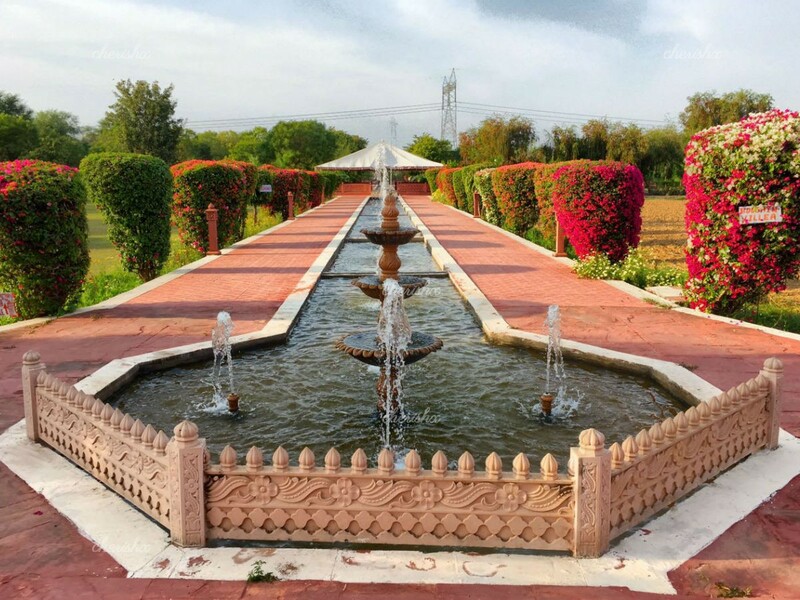 Where you can have a nice nature walk, see the cultivation and also handpick vegetables for your meal! And all this being organic ensures a very healthy retreat. 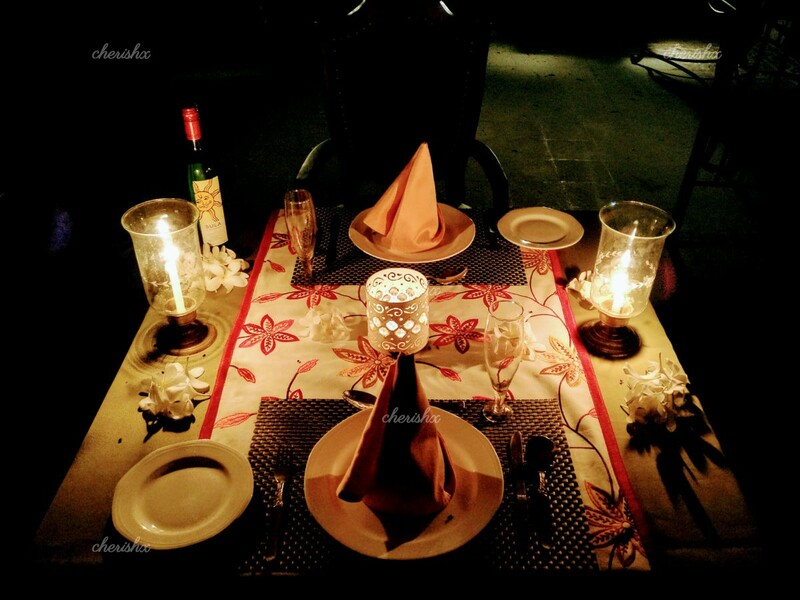 As the evening sets in, dress up for your special candlelight dinner! 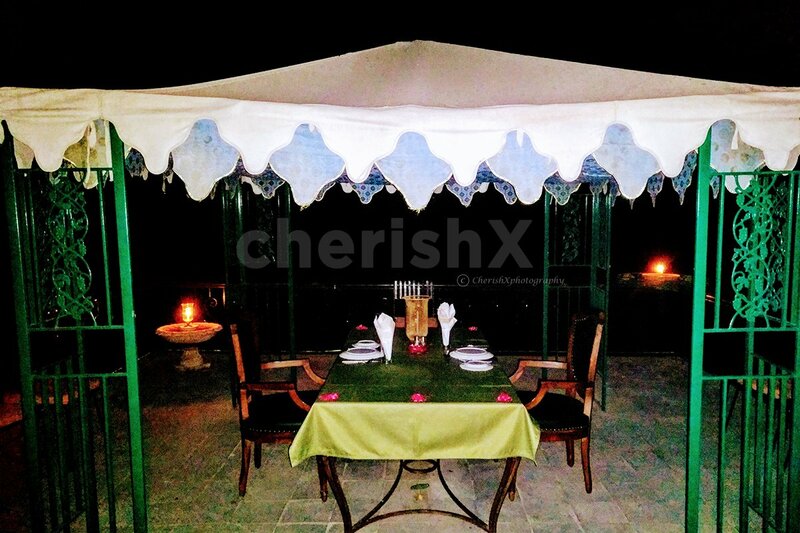 A private cabana on a look-out (machan) reserved for just the two of you! 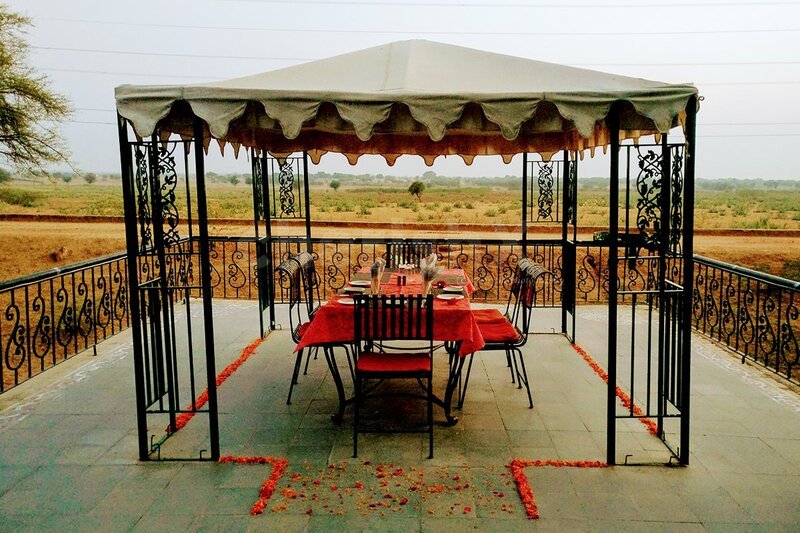 The view of the farms, forest & mountains provides a very relaxing setup for great conversations & a nice 3 course north indian dinner. 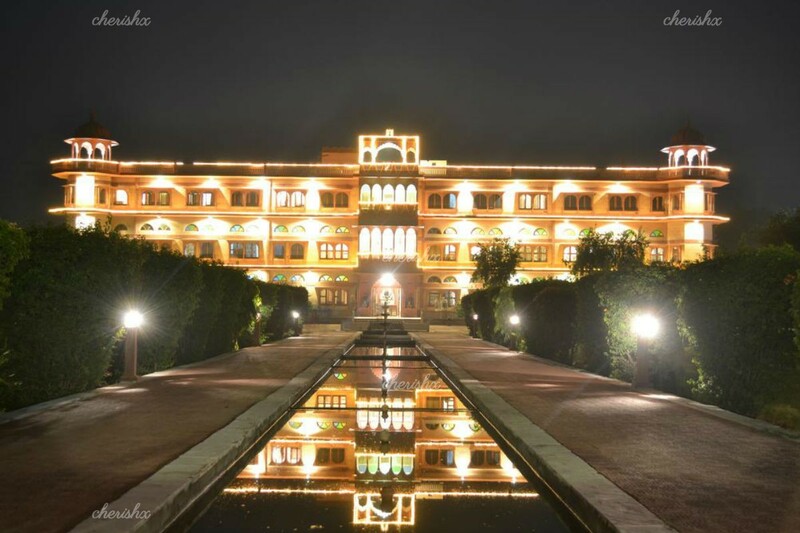 You can upgrade your dinner at a nominal cost on the next screen to a “Courtyard Fountain Dinner” - where your dinner will be set-up in between the mughal fountains, amidst the the green lawns & view of the well lit-up Umaid Lake Palace (your hotel facade). After dinner you can go for a stroll through the garden fountain area and hang-out by the poolside. 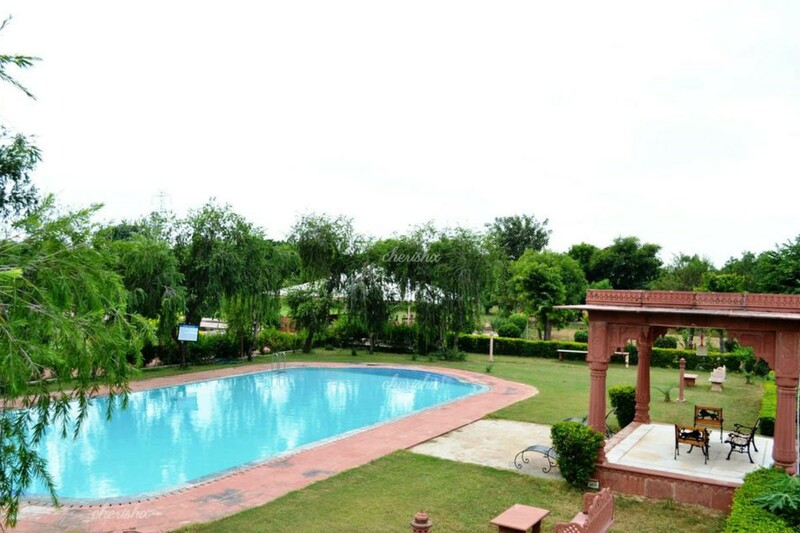 And for water lovers, going for a swim in the morning is a must do. Don’t forget your swimwear! Also, there are two mini experiences - excursions that you can take-up (at extra cost). 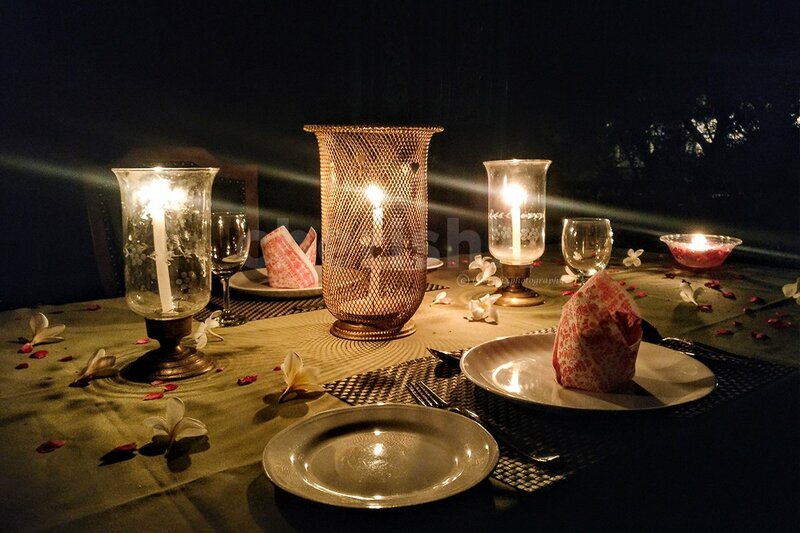 “Mini Sand Dune High Tea” - A short 30 minute drive in a 4x4 jeep to Bairunda village brings you to untouched mini sand dunes where over high tea you can enjoy view of the village, running on the sand and a beautiful sunset. The other is “Historical Abhaneri Trip” - a guided tour of a 9th century marvelous step well and Harshat Mata Temple built by King Chand of the Chauhan dynasty. The Abhaneri stepwells have features in many movies such as Dark Knight Rises & Best Exotic Marigold Hotel. While the temple is known for Harshat Mata Devi’s shakti & blessings. 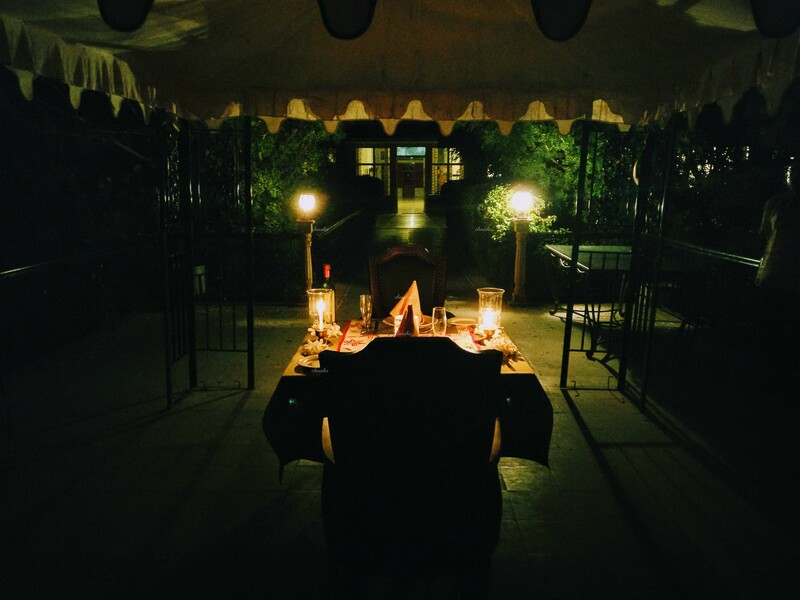 Overall, a fun retreat with special dining experience and many mini experiences!! !